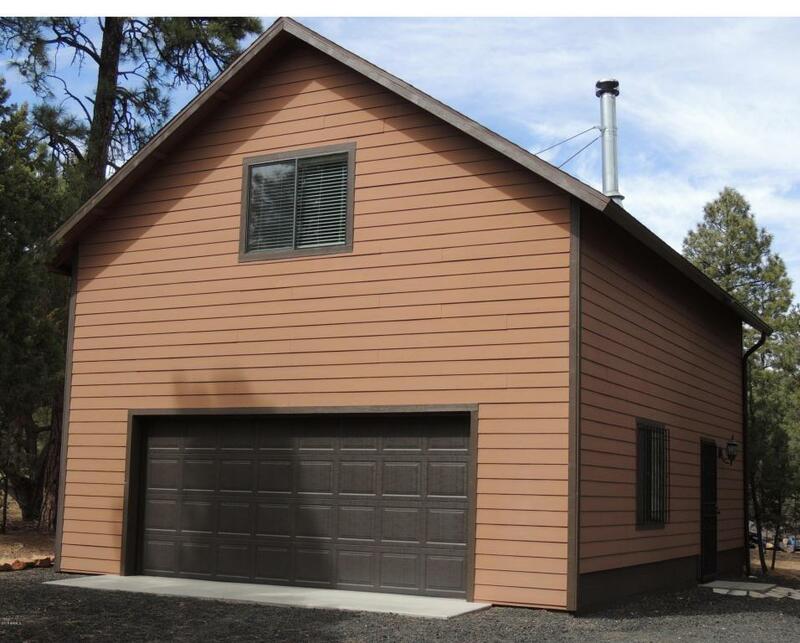 Like New ''High End Custom REAL LOG SIDED HOME'' and Unbelievable 24' x 30' 2-Story GARAGE/WORKSHOP on 1.25 acres surrounded by tall PONDEROSA PINES! 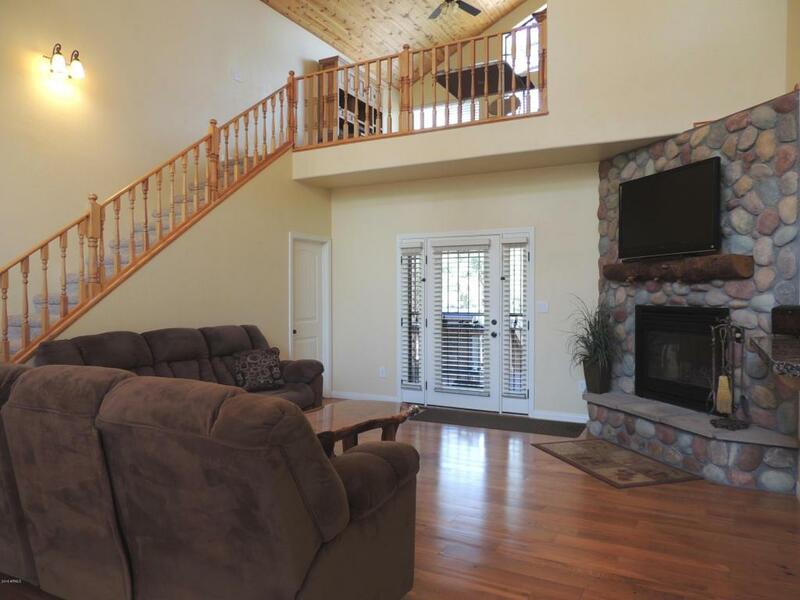 This spacious & roomy home boasts a large Great Room with Chalet Style Wall of Windows to enjoy all of the Outdoor Scenery. Main living area and all Bedrooms located downstairs, with large Loft, Full Bath & W/I Closet for extra sleeping area upstairs. Large Master Bedroom Suite with W/I closet, Double Vanity & huge Travertine Shower. Some of the upgrades are Double Range & Large Breakfast Bar in Kitchen, Vaulted T&G Ceilings, Solid Oak Flooring, Tile, High Quality Upgraded Carpet, Granite Tile Countertops, Hickory Cabinetry, Dual Pane Windows, Ceiling Fans in all Bedrooms & Loft, 8' doors at front, Custom Designer Security Doors (3 sets)Central Gas Heat, Wood Burning Stove, Cozy Stone-faced Fireplace for winter comfort and A/C for summertime cool down. Equally impressive, the exterior features Split Log Siding, Both Covered Slip Resistant Front & Back Decks for enjoying hours of solitude & watching beauty of wildlife. Hot Tub on Back Deck to enjoy the gorgeous night sky. In addition to Extra Tall 2-Car Attached Garage, there is a Separate 2-Story Garage / Workshop w/Wood Burning Stove that is fully insulated with Laminate Wood Flooring upstairs making this perfect for a Game Room, Play Room, Craft Room, Second Loft, etc. Fire Pit Seating Area. One Piece Rain Gutters. Custom Storage Shed & 2nd Shed. 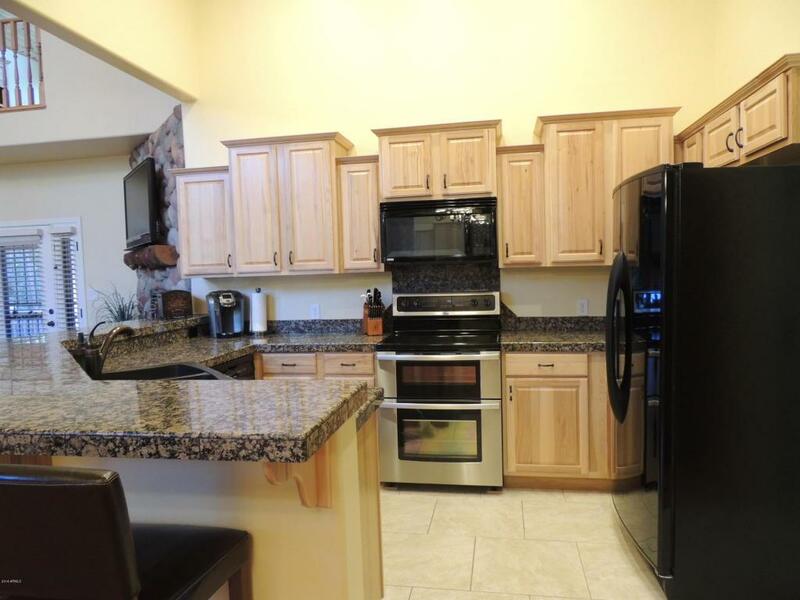 The entire property shows a "Pride of Ownership!" Premier Section 31 is one of the more heavily treed areas of Towering Ponderosa Pines! 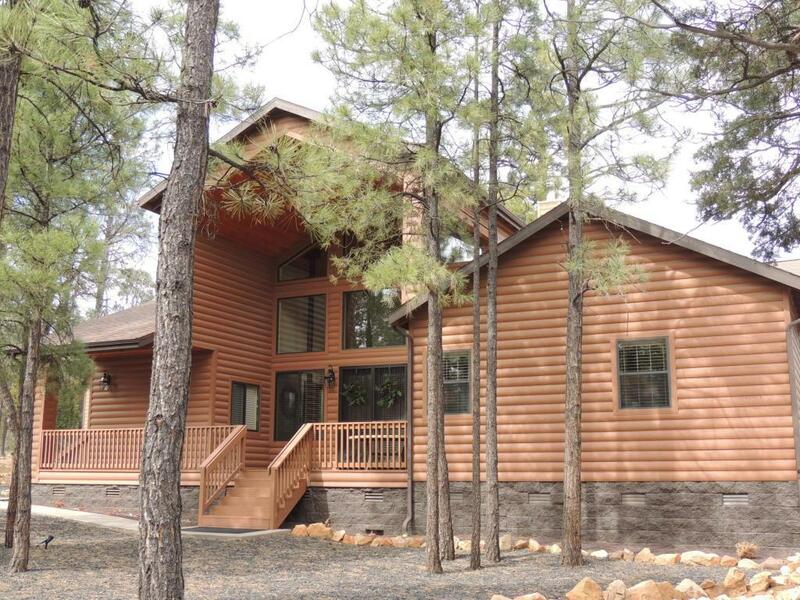 This Home looks Brand New and was a Vacation Home to enjoy the peacefulness of the mountains and surrounding scenery! Cross Street Hwy. 260 & Pine Rim Road.